Julie develops security management strategies for UNHCR around the world. She identifies her time in the field as the most rewarding part of her career. An Irish national, Julie has worked in Bosnia Herzegovina, East Timor, former Yugoslav Republic of Macedonia, (fYRoM), Afghanistan, Nepal, Liberia, Sri Lanka and Headquarters. Her work gives her a tremendous sense of accomplishment, especially when she secures access for colleagues to reach vulnerable refugees and breaks down barriers to guarantee safe passage for UNHCR and refugees. Although many of her colleagues have crossed work streams, Julie remained in security because no two days are the same - you can be assessing, preparing for, or managing the response to a security incident. 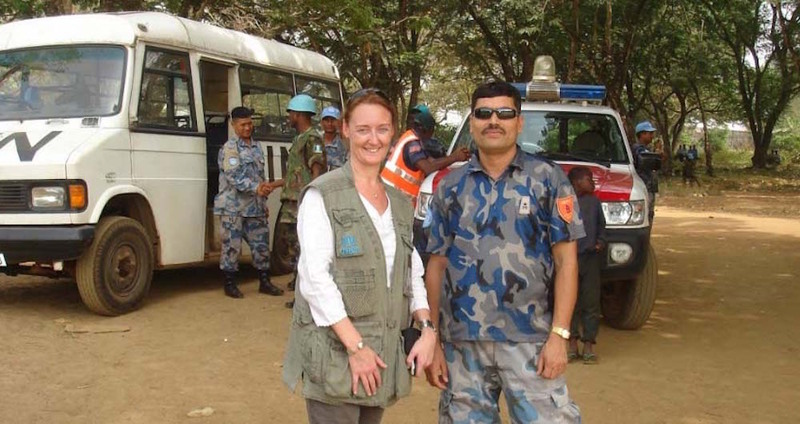 Having worked with refugees, internally displaced people and with refugee returnees enabled Julie to then work in Geneva as a Senior Officer for Security with experience and understanding of the intricacies of operations. Interested in joining UNHCR as a Field Safety Officer? UNHCR provides opportunities to take your career to the next level while building a better future for refugees. Take a look at this Profile Field Safety role and enjoy a career as rewarding as Julies. Or take a look at its other current career opportunities.